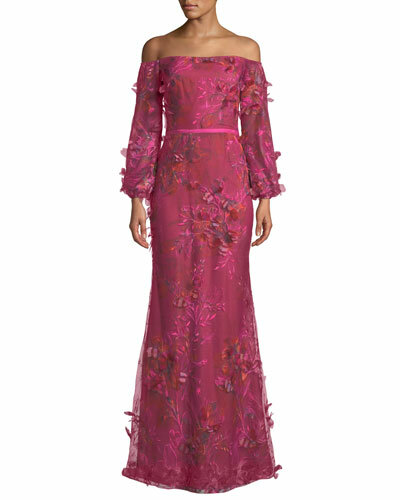 Founded by Georgina Chapman and Keren Craig, Marchesa Notte is a sister collection of the Marchesa line of clothing. 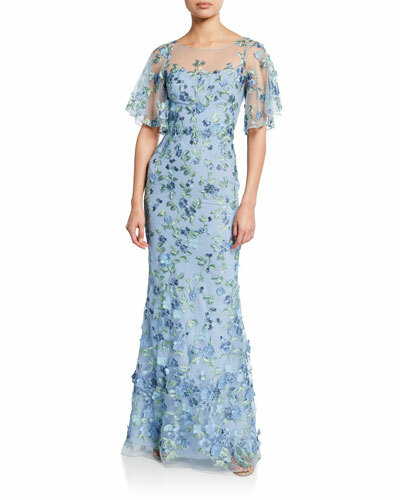 Combining subtle fabrics and rich embroidery, the Marchesa Notte collection features a stylish mix of dresses in swanky, solid colors. The brand’s dresses are masterfully produced with superior fabrics and great attention to detail, in styles synonymous with luxurious fashion. 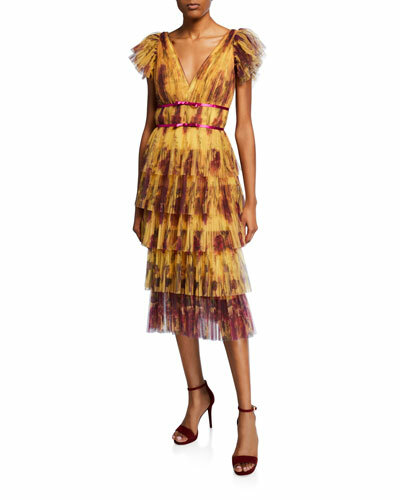 From cocktail dresses to halter gowns, Marchesa Notte’s lavish and extravagant designs have been popular in runway shows and at red carpet events alike. 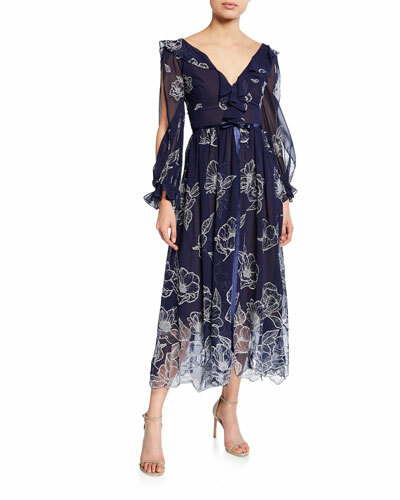 Browse through a great selection of Marchesa Notte dresses and gowns in exquisite designs and detailing at Neiman Marcus. David Meister jacquard gown with beaded bodice. Scoop neckline and back. Sleeveless; wide straps. Beaded bodice. A-line silhouette. Pleated at waist. Hidden back zip. Floor-length hem. Center back slit. Polyester/metallic. Imported. Model's measurements: Height 5'10"/177cm, bust 33"/84cm, waist 25.6"/65.2cm, hips 35.8"/91cm, dress size US 2-4/FR 34-36. 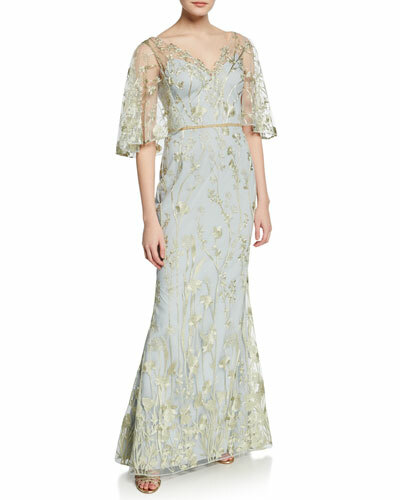 David Meister gown with floral embroidery. V neckline and back. Sleeveless; wide straps. A-line silhouette. Hidden back zip. Pleated skirt. 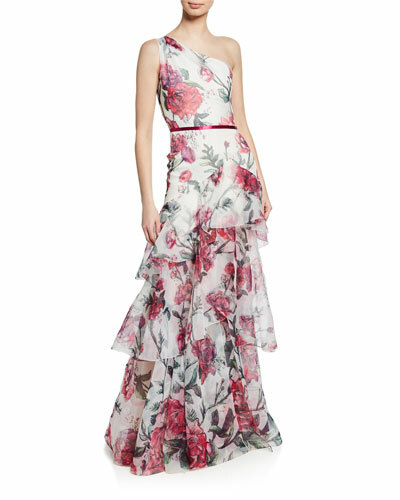 David Meister gown with floral embroidery. V neckline and back. Sleeveless; wide straps. A-line silhouette. Hidden back zip. Pleated skirt. Floor length. High-low hem. Nylon. Imported. Model's measurements: Height 5'10"/177cm, bust 33"/84cm, waist 25.6"/65.2cm, hips 35.8"/91cm, dress size US 2-4/FR 34-36. 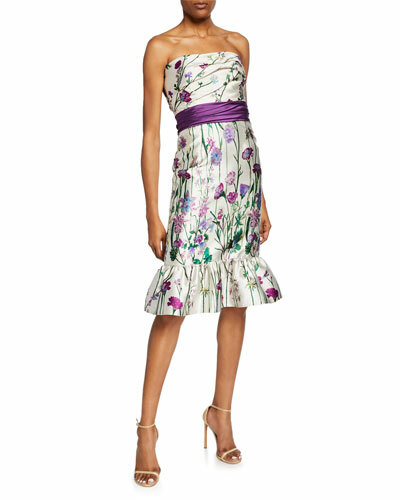 Halston Heritage ruched gown with bias-cut sweep. Semi-sweetheart neckline. Banded sleeves; cold shoulders. Front and back center ruching. A-line silhouette. 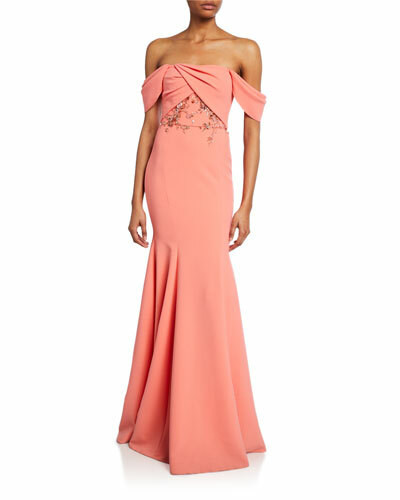 Halston Heritage ruched gown with bias-cut sweep. Semi-sweetheart neckline. Banded sleeves; cold shoulders. Front and back center ruching. A-line silhouette. Hidden back zip. Floor length. Polyester. Dry clean. Imported. Model's measurements: Height 5'11"/180cm, bust 32"/81cm, waist 24"/61cm, hips 35"/89cm, dress size US 2. Halston Heritage crepe gown with ruched center bodice at front back. Approx. 62"L down center back. High neckline; front keyhole. Halston Heritage crepe gown with ruched center bodice at front back. Approx. 62"L down center back. High neckline; front keyhole. Sleeveless. Column silhouette. Tall side slit. Floor-length hem. Hidden back zip. Polyester/spandex. Crepe de chine polyester lining. Dry clean. Imported.